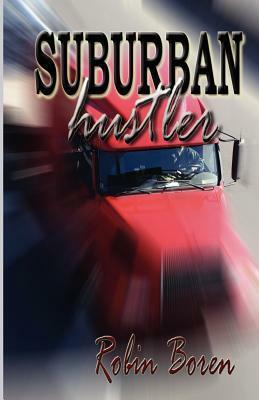 Robin Boren is giving away a copy of her book, Suburban Hustler, and you can win it right here. All you need to do is leave a comment. I’ll choose a random winner tomorrow at noon. Good luck! Chris was born with a silver spoon in his mouth while Veronica struggled her entire life just to make ends meet. It was love at first sight. Veronica becomes the ideal loving wife and mother, as a financially frustrated Chris builds the most successful trucking company in Orange County, practically overnight. Together, as the seemingly perfect couple, they throw the most lavish parties and keep only the very best friends. Soon, they are the envy of everyone in town. The new money doesn’t go unnoticed, especially when the local Mob leader begins to see his own profits dwindle to almost nothing. The young couple’s shiny smiles soon disappear when they’re faced with losing everything, even their lives. Previous postWin a Copy of MALIGNED by Kathleen Papajohn! This sounds like a story worth reading. Each life is a precious gift but so many take life for granted until someone or something comes along to “trip them up”. Only God can make our lives worthy of being titled “good”. No one is truly happy in life unless they are children of God. People with money are not always happy. No matter what they have or how much…..life is only happy when we turn our lives over to Him. I think this book sounds interesting and an original book! I know I probrably wont win but I will get this book because it sounds really good! Cant wait to read it! I’m proud of you finishing your dream to be an author. I can’t wait to pick it up and read . It sounds like an Amazing story. I can’t be online for long…they have people everywhere..tracking us. Every noise, every mysterious looking person makes us cringe, make us run. They say that money can buy you all the happiness in the world..the only thing these days that make us happy…surviving one more day. I have been on here to long..if you want to know more, I have sent our story to the one person I can trust..I can’t, I won’t reveal their identity, but if you do find our story and read about it…if you can help us, pray we make it thru another day and that this horrible experience will soon come to a good end…for us. Thanks for the chance to win this book, hope I can read it and see if I got a bit of what the story is like…. would Love to read this book, i am going to purchase suburban hustler, for my birthday.